The State Board of Education has 11 elected members representing approximately 1.1 million people per district and 8 at-large members appointed by the governor. 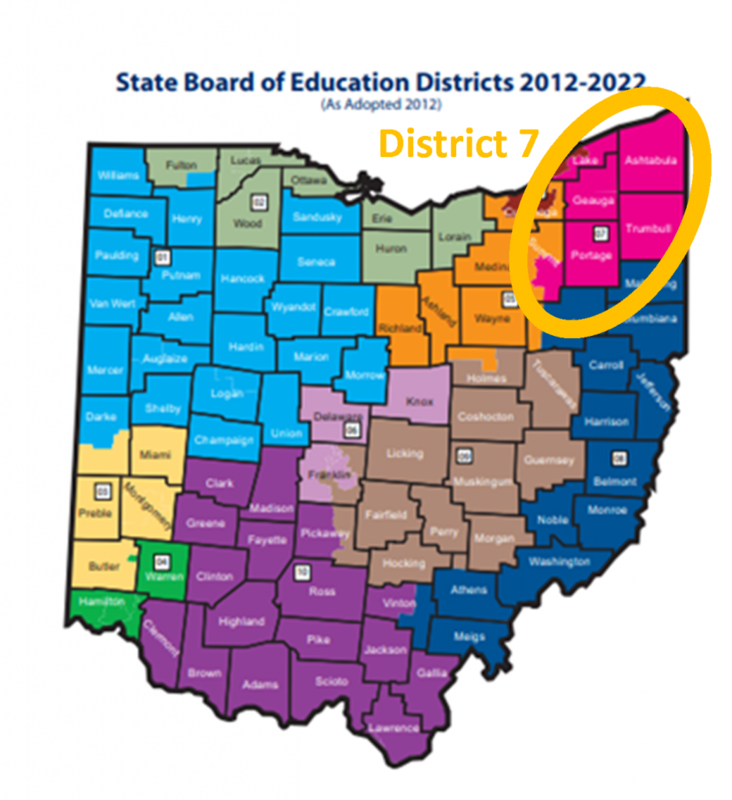 District 7 includes all of Ashtabula, Geauga, Portage and Trumbull counties, along with portion of Lake and Summit. The boundaries include Ohio Senate Districts 18, 28, and 32.